L’AMOUR C’EST COMME UNE CIGARETTE. CA BRULE ET ÇA MONTE A LA TETE, ÇA PIQUE AUX YEUX, ÇA FAIT PLEURER, ET ÇA S’ENVOLE EN FUMEE. CE SOIR LE CLAIR DE LUNE ME DOMINE, LA FRAICHEUR DE MA CHAMBRE, REND TON ABSENCE ENCORE PLUS DOULOUREUSE, TOI L’ANGE DE MES REVES. PRISONNIER DE TON TENDRE REGARD, J’AI VOULU FAIRE PARLER MES YEUX, REFLET DE MON COEUR A TON EGARD, LAISSANT ECHAPPER UNE LARME AUX CIEUX. LA SEDUCTION SUPREME N’EST PAS D’EXPRIMER SES SENTIMENTS. C’EST DE LES FAIRE SOUPÇONNER. ACCEPTE D’ETRE MA MUSE, MA DEESSE ET MON BONHEUR, QUE POURRAISJE BIEN FAIRE POUR TE RAVIR POUR TOUJOURS? JE VOULAIS PASSER LA NUIT AVEC TOI. COLLER MON CORPS NU CONTRE TOI. JE T’AI CHERCHE MAIS JE NE T’AI PAS VU. OU ETAIS-TU MON PYJAMA? QUAND SUR TA JOUE UNE LARME COULE, TOUT AUTOUR DE MOI S’ECROULE. J’AI MAL DE TE SAVOIR AILLEURS, HEUREUSE ET INSOUCIANTE SANS MOI. POURQUOI RESTES-TU INDIFFERENTE A MON AMOUR? UNE ETOILE EST UNE AME PERDUE QUI S’ARRETERA DE SCINTILLER UN JOUR DANS LE CIEL MAIS CONTINUERA TOUJOURS DE BRILLER DANS NOTRE COEUR. 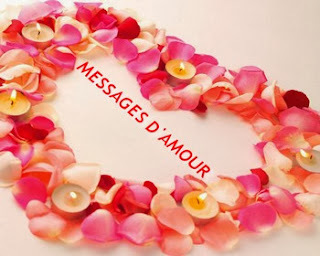 PERSONNE, PAS MEME LES POETES, NE SAIT TOUT CE QU’UN COEUR PEUT CONTENIR.